Welcome to the second in our Cacique Resort Review series in which we offer you a snapshot of our exceptional partner resorts around the beautiful islands of The Bahamas. For this episode, I am thrilled to introduce the über-cool new kid on the Nassau block - the SLS Baha Mar. Bringing SLS Hotels standards of style, luxury and service to our island capital, the SLS Baha Mar has come to shake things up around here with its unique brand of "playful sophistication." Privilege day club at the SLS Baha Mar, which revels in an "unabashedly cheeky, modern spirit." SLS BAHA MAR | THE WHY? From Beverly Hills to South Beach, Brickell, Las Vegas, and now The Bahamas, the SLS Baha Mar is the latest in a line of hip, five-star SLS Hotel experiences, founded on the principles of incredible service, world class cuisine and design. However, the SLS Baha Mar will never fit in with its classmates. Why? Because it will always stand out. It is the first and only SLS outside of mainland USA. And what does this mean for us at Cacique? It means that Something Lovely Has indeed Started on our dazzling white shores. It means that we get Sam Nazarian's dream of a modern-day playground on one of Nassau's most beautiful beaches, a place of enchantment that speaks to a sophisticated jet-setting community and revels in an unabashed cheeky, modern spirit. 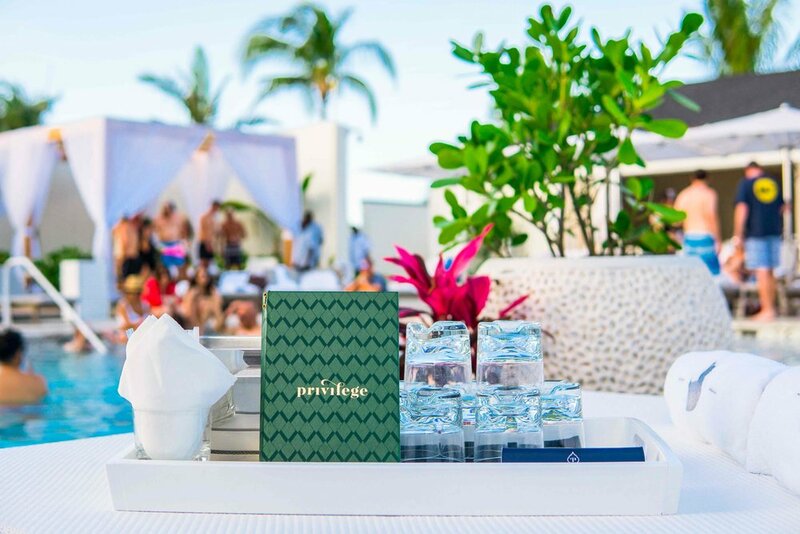 For us at Cacique, this is the ultimate canvas for designing cutting-edge, breathtaking, bespoke group experiences. Copy of Nightlife. Katsuya, designed by Phillipe Starck. SLS BAHA MAR | THE WHAT? 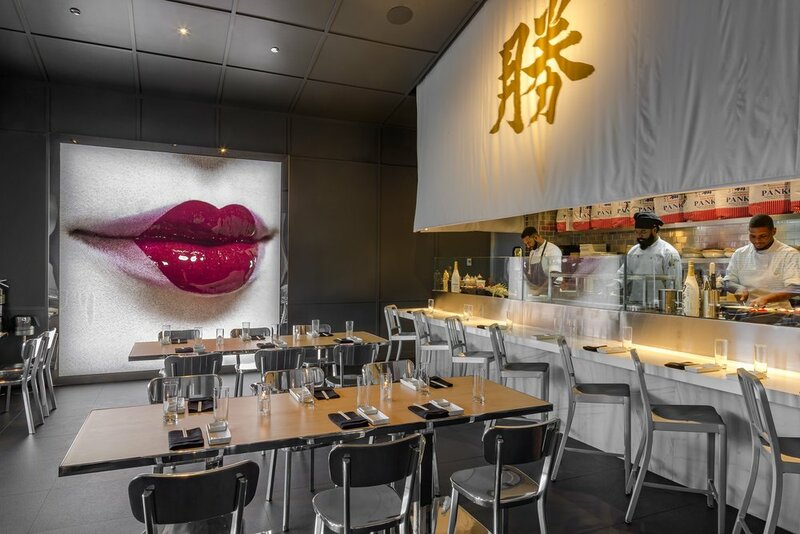 - Chef Katsuya skillfully translates Japanese flavors at Katsuya, designed by Philippe Starck. - Award Winning Chef Michael Schwartz brings honest Italian food to Fi’ilia. - Monkey Bar is the quintessential "playfully-sophisticated" SLS lobby bar. - Sky Bar is the first and only rooftop lounge in Nassau, with one of the finest views on the island. - Privilege Pool is the ultimate party pool and day club. 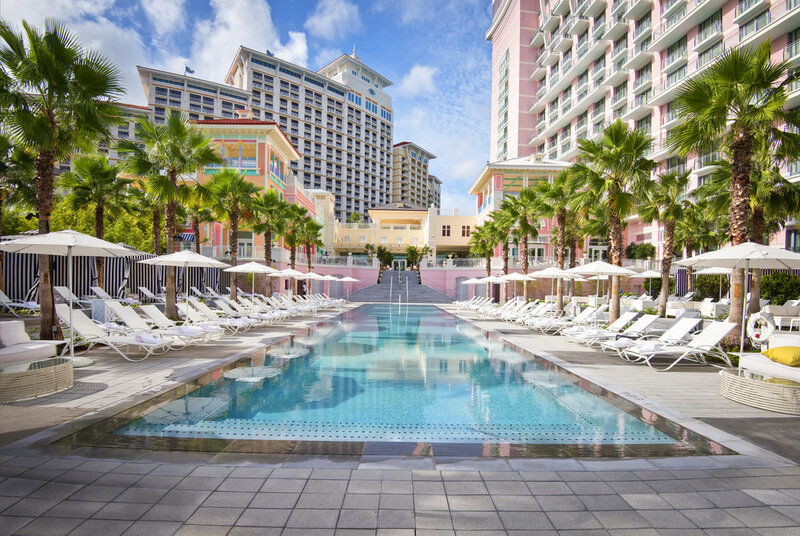 In addition to the above gems, the five-star resort rounds off its luxe experience with shared access to Baha Mar amenities, including the Caribbean's largest casino, 18-hole Jack Nicklaus Signature golf course, a flagship ESPA spa and a wide variety of restaurants and lounges. Fi'lia by James Beard Award winning Chef Michael Schwartz. SLS BAHA MAR | THE WHEN? In The Bahamas, we don't have rain. We have liquid sunshine. Of course, the best time to visit the SLS Baha Mar as part of your Cacique experience is always going to be NOW. Whatever the weather - sunshine or liquid sunshine - the SLS Baha Mar will always be where the party is at. The SLS Baha Mar, The Bahamas' hippest adult playground. SLS BAHA MAR | THE HOW? It’s been said that good design is often felt but not seen. Our transportation management services are designed for the seamless movement of people and their possessions. The SLS Baha Mar is just a 10 minute car journey from Nassau's Lynden Pindling International Airport (LPIA). Needless to say, Team Cacique will be there to greet you upon arrival and get you to your final destination in comfort and style. Contact us to arrange an unforgettable experience at the SLS Baha Mar or to enquire about any of our other services.